I'm excited to talk you guys through these amazing perfume oils I was recently sent by the lovely lady Khadijah behind Pearls Of Purity. These non-alcoholic perfumes oils have had me in awe - they last forever I kid you not. I received 3 lovely bottles, one mini roll on perfect to slip in your clutch if your at a wedding/special event and you're limited with space, a larger roll on bottle that you can keep in your bag and lastly this gorgeous gold detailed bottle that looks amazing on my dresser. If you are looking for a new perfume but don't want to break the bank because I have to admit perfumes can be very expensive these days - I'd recommend checking out the Instagram page @pearlsofpurity which has loads more dainty bottles and designer perfumes oils to choose from and are so much cheaper and long lasting than buying your usual bottle for £50-100. Thank you again to Khadijah for sending me these, I received them super fast and I've been wanting to try tom ford's black orchid for months now but couldn't ever bring myself to spending £100 on it but now I have and I'm in love with it. Will definitely purchase some bottles soon for presents for friends and family. Hello m'loves, hope you're all well. 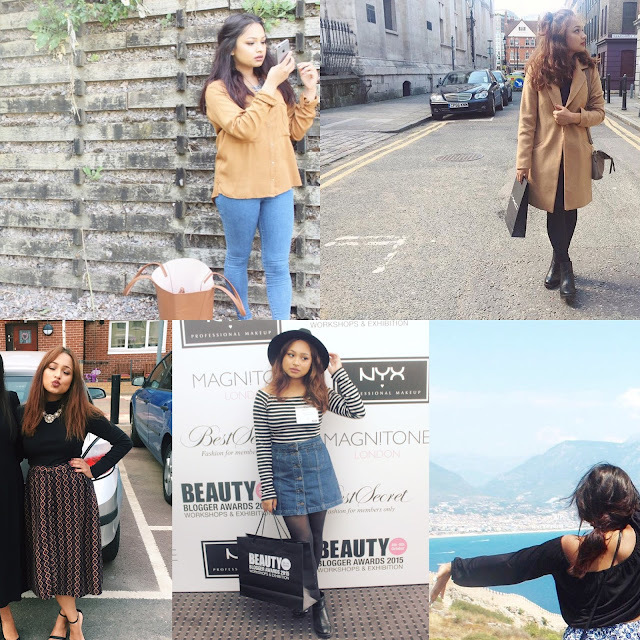 Let's start off with my own body confidence journey, and trust me it hasn't been a cup of tea. When I was in my teens I was diagnosed with polycystic ovary syndrome which is very common in women, I was petrified at the time of course and still sometimes can get very caught up in the thought of it and the symptoms it comes with, one being weight gain. In year 10 I went from being a size 6/8 to a 12. I was so ashamed of my body, and honestly was shocked at how my body changed so fast, I wasn't eating anything different than the usual, my body just suddenly expanded and it was a very difficult time for me. I would wear clothes that are size 14 just so it would cover my stomach and not cling onto my body, bearing in mind at the time it was all abut wearing the nice fitted tee's with a pair of skinnys - but you wouldn't see me in any of that, I lost all my self confidence. I started to hate my body, every stretch mark made me feel sick and it got to the point where it made me feel heavily depressed. Eventually with the support of friends and family I began to accept how my body was, and that it will always change as I grow older because of my medical condition. I did begin to eat some what healthier and joined the gym with my friend, although gym didn't last long I would walk a lot, and it definitely contributed towards me getting back into shape. Now I'm a happy size 8, sometimes can fit into 6 but either way I dropped stones and I'm SO proud of myself. Work on ways to get healthier, don't rush into dieting and hitting the gym every single day. Pace yourself there is no rush! As soon as you get yourself into a routine that suits your lifestyle and doesn't change anything else around you, then continue to work towards being healthier and happier. I've linked below a cosmopolitan post that will instantly uplift your mood, and remind you that you are beautiful no matter what size and shape you're in.